Red Clover leaf is a staple of herbal blood cleansing formulas and has a long history of use as a medicinal herb. One of its common uses is to help with overall cardiovascular health. Red clover is an excellent blood purifier that over time gradually cleanses the bloodstream and corrects deficiencies in the circulatory system. It has been shown to thin the blood and reduce the possibility of blood clots and arterial plaques. This is one reason you’ll find red clover as an ingredient in Jon Barron’s Blood Support formula. While this is a very important benefit, it’s not the primary reason that Jon Barron and so many other herbalists use this herb. Among classic herbalists, red clover is known as one of the world's oldest and most common natural herbal supports for the treatment for all varieties of cancer -- anywhere in the body. It is found as a central ingredient in many anticancer support formulas, including the Hoxsey formula, Jason Winters tea, and Essiac tea, not to mention Jon’s Blood Support formula. Its use is so common that one study found that 33 cultures use the herb to support and fight against the disease. Not surprisingly, most doctors, the FDA and many “new-school” herbalists, being uninformed, have dismissed red clover as useless in dealing with cancer. However, researchers at the National Cancer Institute have indeed found anti-tumor properties in red clover. These incredible red clover benefits come from genistein, a biochemical in the plant, that has the ability to prevent tumors from developing the blood supplies they need to survive – thus starving them and killing them. In addition to being considered an effective natural cancer treatment support herb, red clover has shown some promise in areas of estrogen related health. The isoflavones found in red clover have been shown to produce estrogen-like effects in the body. As such, red clover is commonly used to help reduce symptoms of menopause, such as hot flashes, night sweats, and PMS, while at the same time promoting breast enhancement and breast health. It is also thought to help decrease the risk of women developing osteoporosis later in life. And the isoflavones found in red clover have been associated with an increase in "good" HDL cholesterol in pre- and postmenopausal women. In addition to isoflavones and genistein, red clover also contains calcium, chromium, magnesium, niacin, phosphorus, potassium, thiamine, and vitamin C. Historically, it has often been used (and is still used) to treat whooping cough and other throat related conditions such as bronchitis and sore throats. Herbalists also use it in tinctures to help treat skin conditions such as eczema and psoriasis. This herb can be found in many forms including as dried leaves or capsules, in tincture or extract form, and as a topical treatment. Note: Soy use, unlike red clover use, does not result in any increase in biochanin in the blood. Is that important? Studies have shown that biochanin may significantly inhibit breast cancer proliferation. 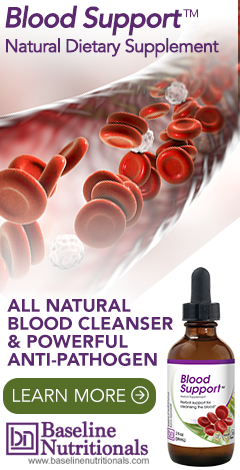 Learn more about blood cleansing. Herbs like red clover actually do fight cancers of all types. The vitalistic approach of most herbalists like myself is to utilize herbs, food, and other maladies to support the function of the body systems, more specifically the organs at the cellular level. The body has an inherent property to move toward wellness if you give it what it needs to do so. In actuality red clover was sacred to the Celtic Clan Mothers wise women teachers and herbal witches as part of the self care brew along with all its health benefits for treating others. For the Celts it was a revered plant. Its 3 leaf clover was a living representation of the trinity of the Goddess, birth death rebirth in nature long before Christianity. The original Primal Christianity was in alignment and sourced similarly with the lived Pagan earth centered life - spirituality was not separated out of daily life Power while forming churches is what has corrupted and miss-interpreted true Christianity. Red clover only indirectly purifies the bloodstream. In the main, it very effectively purifies the LYMPH system, emptying toxins out of the body. I do trust all of the ideas you've presented in your post. They're very convincing and can certainly work. Looking for an alternative to dangerous Warfarin / Xarelto chemical blood thinners, I've started taking a daily dosis of red clover extract due to my Atrial Fibrillation and possible risk of blood clots forming in the heart, with all that that entails. All fine... But hear this: I've also been plagued by periodic bouts of extremely irritating sybhoric dermatitus (spelt right?!) on my hair roots and face. After nearly a month of the extract, it's all but disappeared. All the best from over the pond, Brian. As a student in herbal med, we were told of its uses for skin problems first before its hormonal ones. If you also take herbs which help cleanse the liver like dandelion root or oregon grape is used for skin conditions, then you will get fully better.